Meet our keynote speakers. A broad selection of national and international people who, we think, can make a nice contribution to our conference by making connections in many different ways. 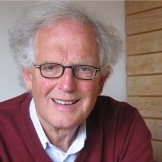 Peter Westbroek is Emeritus Professor in Geology. He actively participated in the creation of the new science - 'Earth System Science' and is author of the book 'The discovery of the planet Earth'. After Erasmus, Peter Westbroek is the first Dutch Professor to be appointed to the 'College de France' in Paris and is the first to be honoured with the Vladimir Vernadski medal by the European Geophysical Society. Dr Mathias Jonas was elected as Secretary General of the International Hydrographic Organization (IHO) at the 1st IHO Assembly in April 2017. He took up his appointment at the IHO Secretariat in Monaco on 1st September 2017. Prior to this election he held the posts of Vice President of the Federal Maritime and Hydrographic Agency and National Hydrographer of Germany with responsibility for sea survey and sea cartography. Being a mariner, Dr Jonas has been involved in integrated navigation matters since the beginning of the nineties. In addition he has completed the world’s first ECDIS type approval in 1999 and has continuously contributed to IMO and IHO standardisation activities for navigation equipment, survey and cartography. In his former position as Chairman of the IHO Hydrographic Standards and Services Committee (HSSC) he supervised altogether ten different technical standardisation Working Groups. One of the core projects of the IHO, the S-100 concept, was developed during his term as Chair. Rob Luijnenburg’s passion for hydrographic survey and offshore constructions originates from an education in offshore engineering at Delft University of Technology and military service at the Hydrographic Department of the Royal Netherlands Navy. In the course of his career of more than 40 years, offshore survey was always close to Rob’s day to day activities. Initially active as a consultant in pipeline design and installation, followed by a commercial role at NeSA, Head of Survey at Van Oord Dredging and Offshore Contractors. Rob joined Fugro as a Resource Manager in Survey 17 years ago. 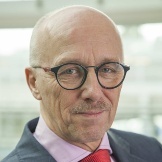 At Fugro he has been Regional Director and Corporate Strategy and Communication Director. 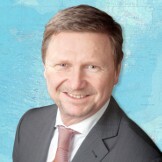 Rob also served as Chairman of the Hydrographic Society Benelux in the period between 2002 and 2009. Water may seem the most ordinary of substances – it pours from our taps and falls from the sky – but you would be surprised at what a profoundly strange substance it is. It bends the rules of chemistry and defies easy scientific understanding. Without this rebel behaviour, however, none of us would exist. Alok Jha will change the way you look at water – showing how it has shaped life on earth, and how this molecule connects you and everyone else to the birth (and death) of the universe. 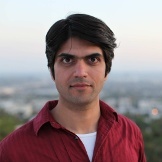 Alok Jha is the science correspondent at ITN, working on news and current affairs for ITV. Before that, he was at the Guardian for more a decade, where he wrote news, features, comment and presented the award-winning Science Weekly podcast. He has also reported live from Antarctica and written and presented several TV and radio programmes for the BBC. 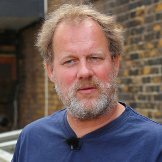 Martijn Manders is a maritime and underwater archaeologist and head of the Maritime Programme at the Cultural Heritage Agency of the Netherlands (RCE). The projects within this programme deal with Dutch maritime heritage overseas and shared cultural heritage. One of the main projects at this moment is the research and excavation of the East Indiaman (VOC) ship the Rooswijk, off the coast of England. His research interests also include underwater cultural heritage management on a global scale, specifically on in situ preservation, sedimentation erosion processes and monitoring. The latter is strongly connected with geophysical research, a very important discipline for maritime archaeologists because it enables them to explore, monitor and manage underwater heritage sites. Within Europe Martijn has initiated and worked on several innovative EU projects to develop new methods and techniques for geophysical and underwater research. The results contribute to making the Netherlands one of the leading countries in managing maritime heritage and conducting high quality maritime archaeology research on a professional level. As a maritime heritage expert Martijn has travelled all over the world to cooperate with many countries managing cultural heritage underwater. He also works for Leiden University where he teaches maritime archaeology at masters level, and he trains young professionals worldwide, mostly in cooperation with organizations like UNESCO and ICOMOS/ICUCH.